http://www.markwatson.com/. 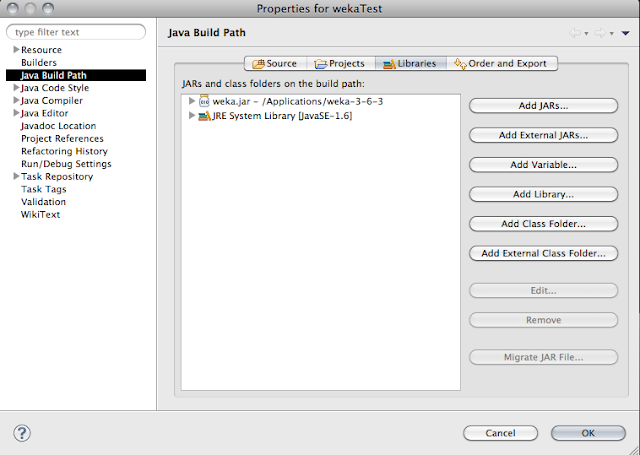 Lots of good stuff in this, but the bit that really got my attention was how easy and clean the explanation was for how to embed Weka into a Java application. 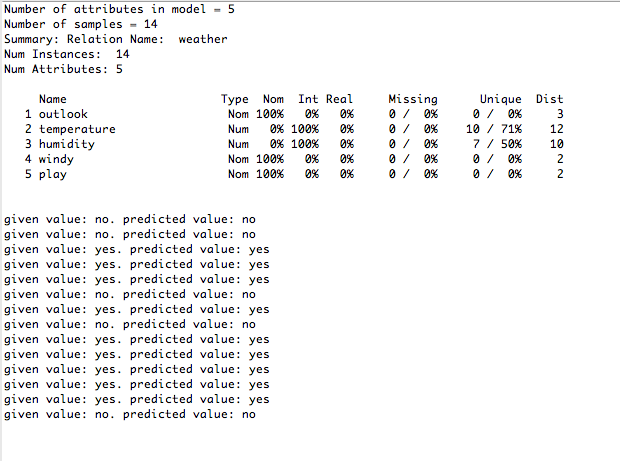 System.out.println("Number of attributes in model = "
I used the ADTree classifier on the weather.arff demo data. This is a very simple example, and I hope in the future to go into more detail about how machine learning tools like Weka can be used as part of an agent based programming approach.